My studio is located in the quaint town of Asheville, NC. The town of Asheville is nestled in the beautiful mountains of Western North Carolina on the banks of the French Broad River and is rich in history, scenery, outdoor activities and mountain culture. 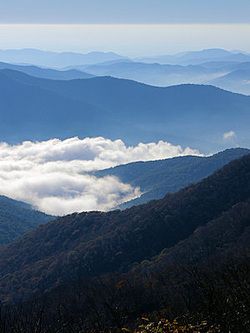 Enjoy the beauty of the world's greatest mountain ranges, the Appalachian Mountains and The Blue Ridge Parkway. The area offers breathtaking vistas, hiking trails, waterfalls and a reprieve from commercialism. I take a few students at a time (max. 3 students) for part-time training in my studio or in your home. The benefits of working one on one with an instructor is you receive close attention and feedback on a regular base. You also benefit from clear consistent feedback from one instructor instead of multiple conflicting direction from multiple instructors. Each student will follow an intense curriculum that is based off the training I received at the Grand Central Academy of Art in New York City. 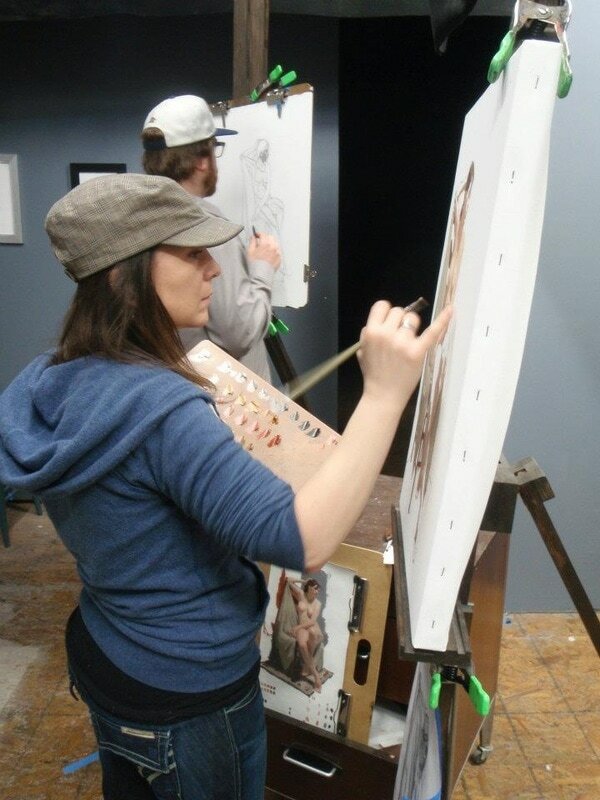 Students will study Cast drawing, Bargue Copies, Figure Drawing, Cast Painting, Figure painting, Still-life, Sculpture, Master copies and Landscape. I only take serious students that have a good understanding of the methods I teach. If you have any questions please contact me. If you are interested please fill out an application and return to me by email. After years of struggling with different teachers, and different methods of drawing from some very good schools, I found what I needed from Angela Cunningham. Even after my first workshop with her, I had a huge jump in progress. What’s great about Angela, is that she has developed a clear path through many of the obstacles that drawing presents. She spent a great deal of time trying to learn what my problems were and then devised many personal ways of fixing them. If I had a tendency to lean all my lines to the right, she would keep reminding me to shift them purposely to the left. If I wasn’t holding my measuring stick straight, she would be behind me to help me see what straight was. So if you present her with new obstacles, she’s going to tackle them with enthusiasm. What makes her unique as a teacher is, she believes that if a student isn’t progressing, it’s the teacher’s fault for not figuring out what is holding the student back. Angela believes the more time put in, the quicker one can learn the skills. Her studio is located in a beautiful and culturally vibrant little mountain town and it’s the perfect spot to discuss life and art while training. Angela is wonderful when it comes to sharing her experience and knowledge of the art world and can really help you decide where you might want to go in your own work.